Music Row Tech: One Purchase Which Won't Wait For Amazon! One Purchase Which Won't Wait For Amazon! I run my small business out of my home. Since a significant part of my expertise lies in using and configuring small office network equipment and making the newest tablets and smartphones "play nicely" with your business and personal needs, reliable network access is a must. One of the most critical and often forgotten pieces of the SOHO network is the router. Many people "just want it to work" and have only a passing understanding that the router, cable modem, and possibly a network switch (or several) are actually distinctly different pieces of hardware and perform interrelated, but not duplicative, duties. The "I just want it to work crowd," often has to be reminded where these blinking boxes reside and when network problems arise (and they do as surely as the sun will set tonight in the west), a careful review of those LED indicators is always a good place to begin the process of isolating the immediate problem. Ironically, as I posted on Google+ a day or two ago, I swapped out my leased Comcast cable modem for a newly purchased Motorola unit this week. If you haven't considered investing in your own cable modem, I encourage you to do so. This Motorola 6121 cable modem is a good unit with all the technical specifications you need to worry about for the next two to three years (and get yourself a 150% or better ROI on the switch). I did this primarily on principal. My review of Comcast charges was an eye opener (which is probably why I avoid studying this bill, like so many necessary but unpleasant chores in life). That $7/month fee gnawed at me until I could get a new, superior, modem in place and delivered the old POS ("piece of sH*%) hardware to Comcast's local headquarters (they don't make it "easy" to return overpriced equipment and get it off your bill!). After a pretty painless set up, two days passed. I don't know if it was the network gods playing a trick, or if my Linksys router was "mad" because it didn't get any upgrade, but low and behold last night it gave up the ghost. Now routers in my SOHO office (and I suspect your office and home!) are 24/7 workhorses! Routinely, I have three or more computers, an iPhone, an iPad, a Kindle Fire, four (4)! TIVOS, all making use of my network all the time! If I have a client, guest, or daughter in the house the "network count" goes up even further! My home and attached office are of fairly new construction (less than three years old) and my builder was a believer in wiring for today and tomorrow (or he was building this place with me in mind!). Every room, save bathrooms, has high quality Category 6 ethernet cable installed. There are no traditional POTS telephone lines, but they aren't needed or wanted. He also pre-wired the ceiling in the livingroom for 5.1 speakers and some other thoughtful touches (which helped sell this place! I hope any General Contractors out there are listening!). Still, none of this matters without the router as your network's traffic cop. It has to make sure all that data which streams in and out of your home or office, get to the right internal or external network address as quickly and efficiently as possible. Wireless traffic streams in from phones, tablets and other devices, competing with wired requests for other data. If you have a DVR or two, you may also want to transfer a movie from one room to another. This is an increasingly common convenience. When we start moving around HD video content, even from within our home between televisions, this adds real overhead to the network. Oh and if you are using VOIP (Voice Over IP) for your traditional telephone calls, either through your ISP, or some third party company such as Magicjack, your router has to keep your conversation flowing, and this data, while juggling all of the other traffic. Router technology improves just as most SOHO tools through the years. Like other infrequent purchases, you may not realize this or really know what is important when you are back in "the market" for a replacement. For most, including even network "guys" like me, buying a replacement router for the house and/or office isn't a leisurely event. I will buy almost everything in my life through Amazon and because of Amazon Prime, I can get most of the world to my front door in two days (and for $3.99 more, next day delivery) but that isn't fast enough when the network world many of us rely upon grinds to a complete halt! Best Buy here I come! New routers have new software baked in. This is called firmware by techies, but you just need to know this is a layer of software which allows you to configure this box and for it to do its job more efficiently (and safely). Even if you have a faithful, but aging router, you often can update the firmware and perhaps get improved efficiency and more network security (which is always a good thing)! If you haven't ever thought about this oil change for your router, Google your router's name, model and firmware. You are likely to "get lucky" and be directed to a page explaining the newest version and how to install it. If you are nervous, get a knowledgeable, friend, family member, or (gulp) IT guy, to lend a hand. Even if you buy a new router and install it today, check the firmware, there may well have been an update (or two) since it left the manufacturing facility! Wi-Fi isn't all the same! 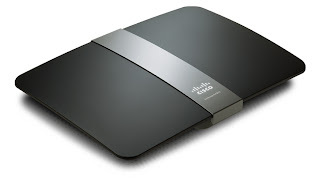 Newer routers which have wi-fi capability tend to have better antenna configurations (think improved range and speed). They also may function on more than one band. This can get technical, but consider buying a multi-band router (2.4 and 5 Ghz) which allows your current, or future, devices to access your network using different, often less congested, frequencies. Even your neighbor's microwave is trying to use the 2.4 Ghz spectrum! You will pay a bit of extra cash now, but remember you are going to expect this thing to play traffic cop without a coffee break until 2015 or so (in this context, what's an extra $25? The router doesn't ask for, or want, a Starbucks coffee break). On a related note, there is really no reason to buy any router today which isn't Wireless-N ready (even if some of your current hardware isn't up to this speed. This is an established standard today and only the least expensive wireless routers won't have this option. Change the password! Default passwords are a very real security risk on routers! Network guys like me know the default user names and passwords for all the big brands, Linksys, DLink, Netgear, Belkin, they all make it (very) easy to access your router's firmware out of the box. Stop, drop, and change this password immediately! The "bad guys" love default passwords and it is often a sign that other security is lax, or non-existent, which is a green light for mischief (or worse). Most newer routers allow some form of Guest Mode. It is great to let all your friends enjoy your wi-fi when they drop in. I just don't want someone inadvertently getting into my business and personal files while looking for that funny You Tube video. This feature keeps your friends and family happy as well as you and your data. Don't buy any router which isn't IPv6 enabled! This too is a techie issue but it will affect everyone sooner rather than later (and before you want to toss this purchase in the scrapheap)! Strongly consider buying routers with Gigabit Ethernet ports (if you need ports on your router). In fact, don't buy any switches, routers, cabling, anything, which isn't gigabit enabled! This is where SOHO network has gone (note I didn't say, "is going"). When you start moving large files, like those HD movies we were talking about earlier, Gigabit enabled wiring makes a noticeable difference in performance. There are plenty of other features to consider, but focusing on these big issues will steer you in the right direction. Don't rely on "the kid" at your box store to know all of these nuances. S/he is probably not a networking expert and even if they claim to be (flag! ), they don't know your specific needs. Oh, if you are tempted to use Red Laser or Amazon Price Check to see if you are getting the best deal possible while you are waiting to check out, don't you will only be frustrated! Do your homework now while you have internet access! and just satisfy yourself that getting your networked life back on the road is worth a little premium (after all, Best Buy needs our business too from time to time). Anyone in the market for a slightly used, barely functional, three year old Linksys router? I have a deal for you! As always, I invite your comments and thoughts below! If you like this article, please plus one, share it on Facebook with your network, Tweet it, or find another way to spread the word. I currently hold investment a position in $AMZN. I currently particpate in the Amazon Associates Program and certain item links included within this post may tie to this affiliate program. Most people love to go on several months’ international vacation at least once in their life time. Be it a secret cross border vacation or official trip to meet your international clients, constant communication with your household members is highly important to keep the situations cool on either side.